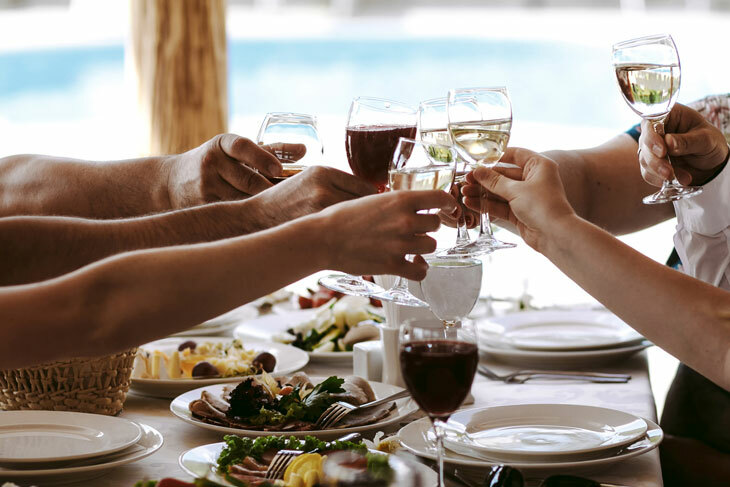 If you’re thinking about hosting a party for some family or close friends, don’t stress about how much it might cost you because there are some tips you can keep in mind to save some money and still throw a great party. People often forget that going over board and spending vast amounts of money on a party does not mean that it is necessarily going to be amazing. What makes a party a great one, is the atmosphere that you create, and being stressed will probably not be fun for you or your guests. Hopefully the tips below will save you some money and ensure you have a great party. Depending on what the event is, if you’re thinking of sending invitations in a more traditional way and not over Facebook, try looking up a site that does digital invites. An example is the web service Evite, you can make custom invitations, manage your guest list, and even use their budget calculators! Another option is if you want some moral support while you’re planning, have a friend be a co-host with you, that way you can split the costs and come up with more ideas for the party together. When it comes to the food at the party, you don’t want to end up spending too much money or not have enough. The best suggestion that I can give is have a potluck! Because you’re hosting the party, you can decide what you will provide for your guests, such as the main meal, alcohol, or the venue and tell them to bring the rest. You could even come up with a theme so that people don’t end up bringing random dishes. Something that you may want to consider is skipping the open bar idea. Another item that you don’t need to stress about is the decor of your place or the venue, if you decide that you may want to change it up, especially if you decided to go with a particular theme, you can without spending too much money. Try to pick up decorations at a dollar store or discount store because it is more than likely that you won’t end up using them again. Same with dishware, don’t be afraid to use plastic plates and forks because who wants to clean up all those dishes or waste money on brand new ones. If you are thinking about downloading music from ITunes, because you think your music is not what you are looking for, try using Spotify or free music apps with playlists all ready to go for you. When you’re planning a party, do your best to not get too carried away and think where you can save money on certain items.